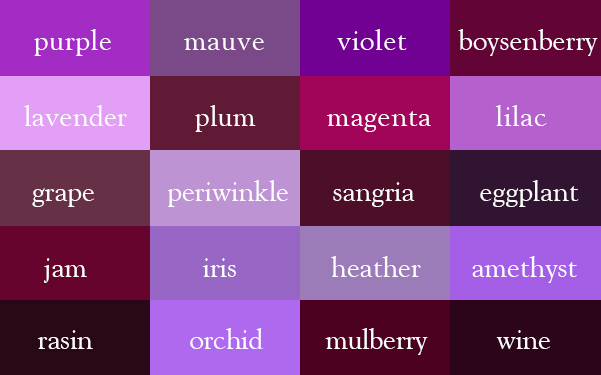 As you may have noticed, I deliberately chose a romantic theme for May, ‘romantic’ to me means Romanticism, Pre-Raphaelites, Shelley, Shakespeare, Oscar Wilde etc. Also, I’ve read some stories from Decameron by Boccaccio and Prozac Nation by Elizabeth Wurtzel, again, because I can relate to it in some aspects. The best film I watched this month was Taxi Driver (1976) with Robert De Niro and Jodie Foster. 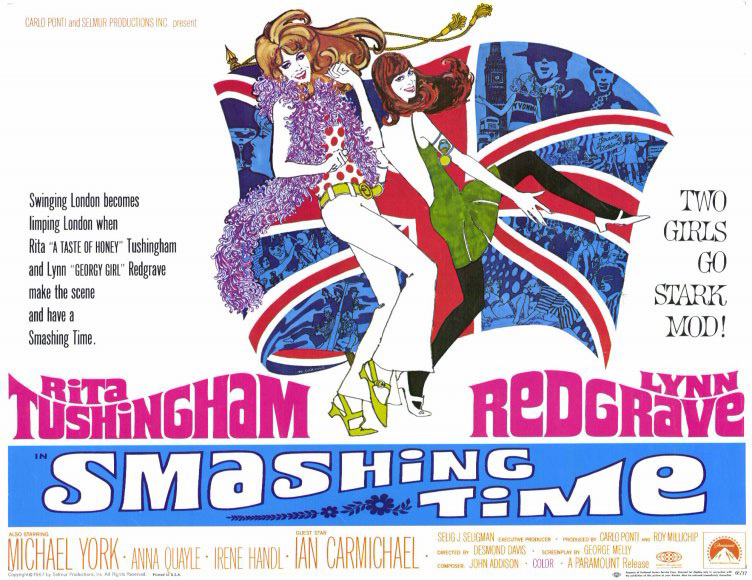 Other films I loved were: Smashing Time (1967), Rumble Fish (1983), Desperate Romantics, To Sir, With Love (1967), Breakfast on Pluto (2005) with Cillian Murphy, All or Nothing (2002) and Life is Sweet (2002) – both by Mike Leigh, and surprisingly Pride and Prejudice and Zombies (2016) – it was quirky and Matt Smith was amusing as Mr Collins. 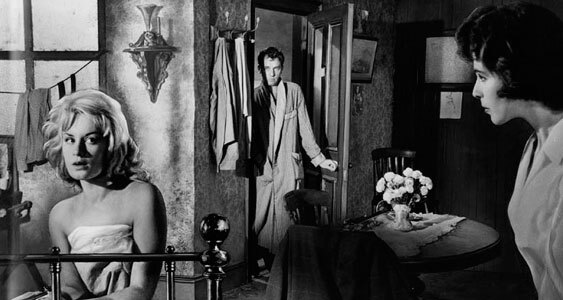 As it so happens, I really love kitchen sink dramas, which I discovered a few months ago, and I watched Cathy Come Home (1966), Room at the Top (1959) and Look Back in Anger (1959); the latter is the best in my opinion. 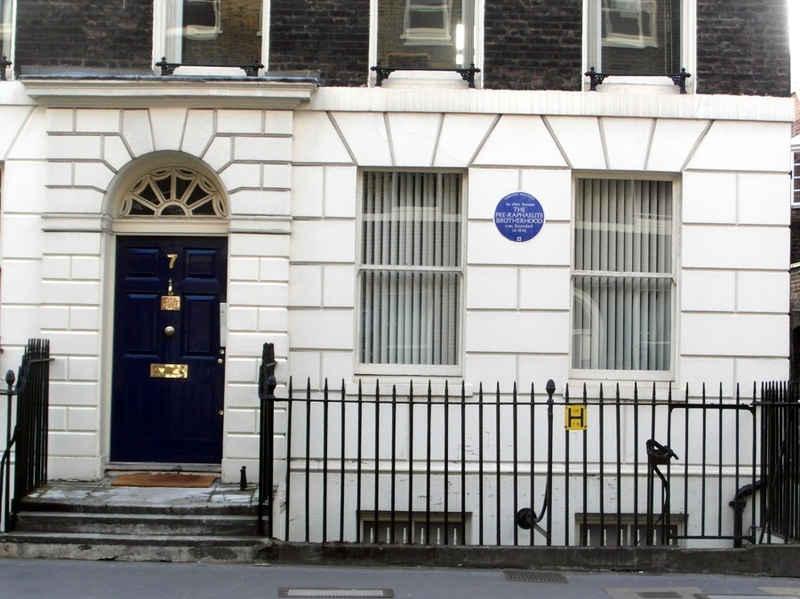 Oscar Wilde, author of ‘The Nightingale and the Rose’, was ‘a flamboyant and sparklingly witty Anglo-Irish playwright, poet and critic’ (1) whose ideas and behaviour were often in stark contrast with the stale and conventional society he lived in. 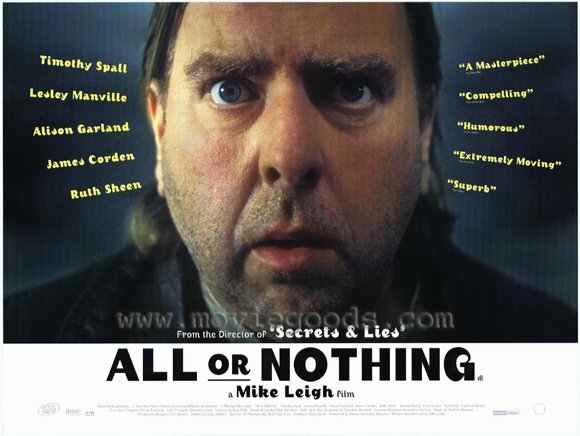 A dandy and an aesthete, Wilde was naturally drawn towards noble themes of beauty, sincerity and love, and his stories can be viewed as reflections of the decadent and pessimistic social landscape of fin de siècle. In ‘The Nightingale and the Rose’, Wilde combined his typical eloquence with fairytale elements, interesting plot and lavishing symbolism. One could argue that the fairytale, first published in May 1888 as a part of collection of children’s stories ‘The Happy Prince and Other Tales’, is a true product of its time. 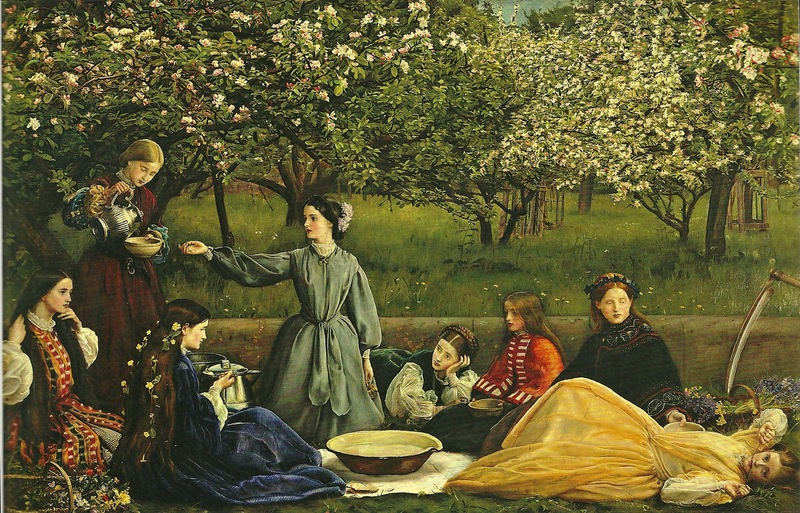 In this fairytale, Wilde confronted two ideas or, rather, mindsets that sparked discussions amongst intellectuals in fashionable salons, and are present throughout entire art history – materialism and idealism; the Student represents the former, while the Nightingale represents the latter. The Student, the main character of ‘The Nightingale and the Rose’, is a thinker who pursues knowledge and places logic and reason above all. In the very beginning he proclaims: ‘I have read all that the wise men have written, and all the secrets of philosophy are mine…’ This excessively confident and rather naive remark indicates the Student’s true character, and instantly connects him to realist art movement whose key features are the emphasis on modern world and belief in the power of science. He is briefly distracted from his studies by a beautiful daughter of his Professor who promised to dance with him if he brought her red roses. From the beginning he is presented as a materialist; fixated on the rose and not questioning the worthiness of his love pursuit. His thoughts upon listening to the Nightingale’s song reveal his incapability of experiencing true emotions: ‘…she has some beautiful notes in her voice. 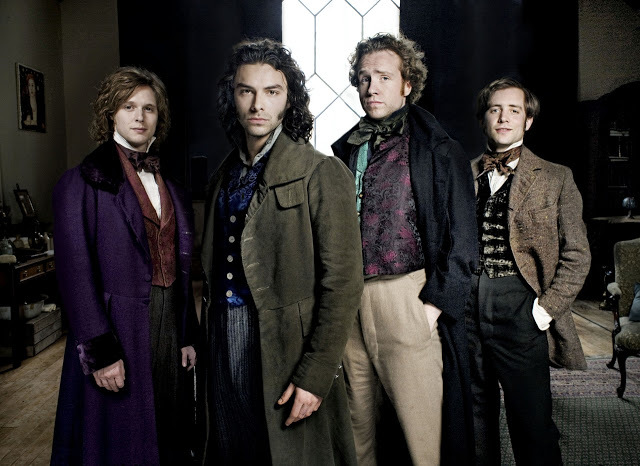 What a pity it is that they do not mean anything, or do any practical good.’(2) In a true manner of literary realism, Wilde chose a student for his character, continuing the long line of student characters such as Balzac’s Rastignac or Dostoyevsky’s Raskolnikov. 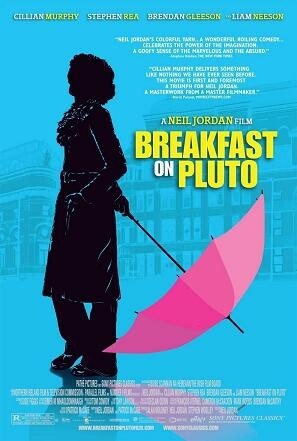 Professor’s Daughter, a haughty, vain, rude and ungrateful girl, is another character that represents materialism. 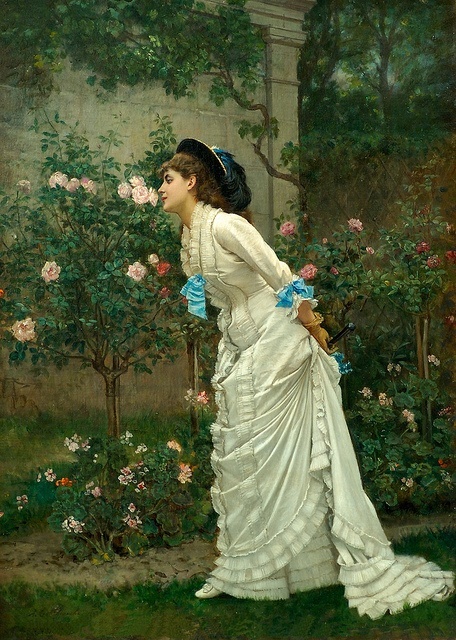 Dr Jarlath Killeen claims: ‘As daughter of the Professor, the girl in ‘The Nightingale and the Rose’ is a powerful representation of the desire for knowledge allied with a profound commitment to materialism.” (3) However, the Student kept courting her, without realising her shallowness and class snobbery. When he found the rose, coloured beautifully by the Nightingale’s crimson red blood, he noticed its beauty, but only as a means of dancing with his beloved. He is incapable of appreciating beauty without expecting something material in return. 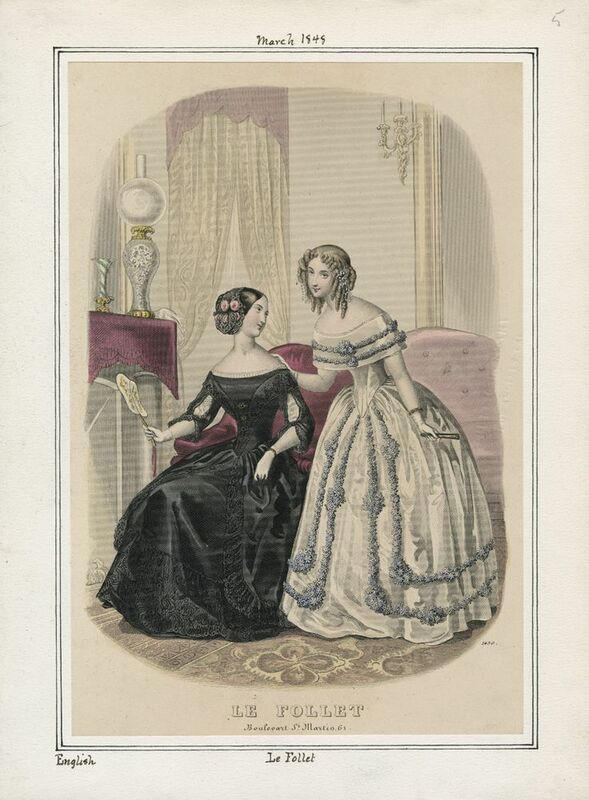 When the Professor’s daughter received the rose, she stated: ‘I am afraid it will not go with my dress, (…) and, besides, the Chamberlain’s nephew has sent me some real jewels, and everybody knows that jewels cost far more than flowers.’ She makes it clear that she’s uninterested in love that doesn’t include wealth and social position, adding further ‘… who are you? Only a Student. 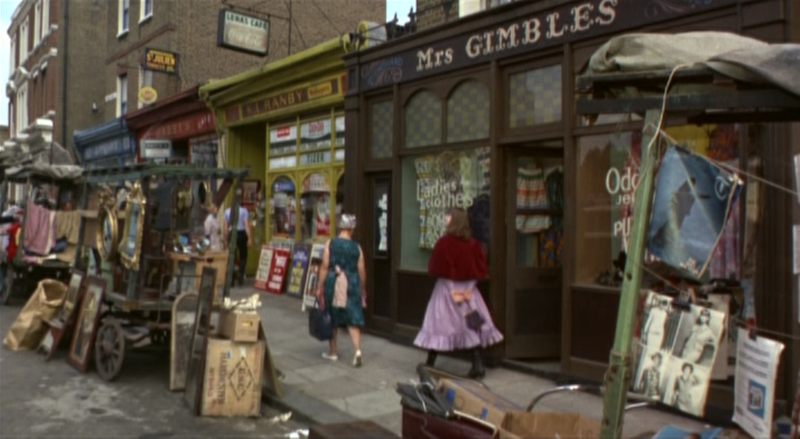 Why, I don’t believe you have even got silver buckles to your shoes as the Chamberlain’s nephew has’. Although she rejected him cruelly, he is not to be pitied because he got what he deserved. His preoccupation with reason, logic and knowledge, alongside his materialistic worldviews made him a bad judge of character. His feelings are artificial as is his character, and since his love wasn’t deep and sincere he quickly returned to his studies, proclaiming: ‘What a silly thing Love is, (…) It is not half as useful as Logic, for it does not prove anything, and it is always telling one of things that are not true. 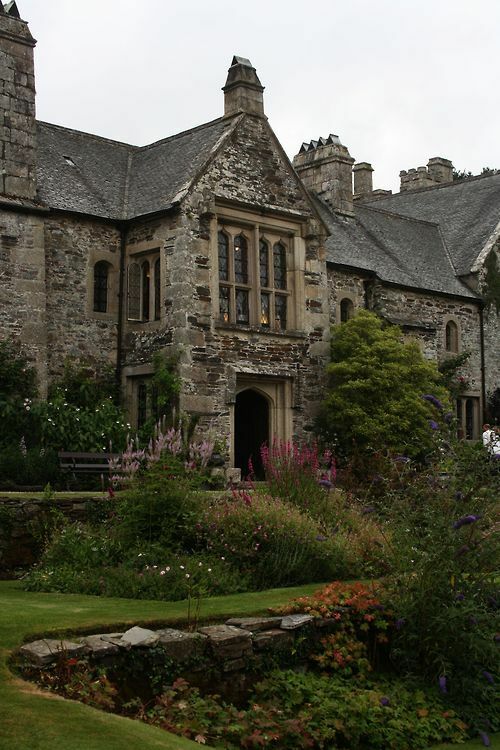 (…) In fact, it is quite unpractical, and, as in this age to be practical is everything, I shall go back to Philosophy and study Metaphysics.‘ (4) The Student is doomed never to be happy because he seeks refuge in reason and is incapable of experiencing true emotions. 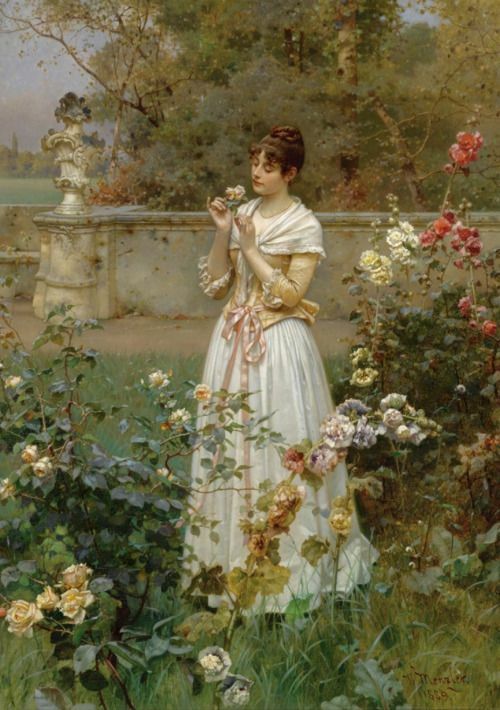 Blinded by his pursuit of knowledge, the Student fails to notice and admire beauties around him; sweet scent of the flowers, song of the birds, fresh air and sunlight. 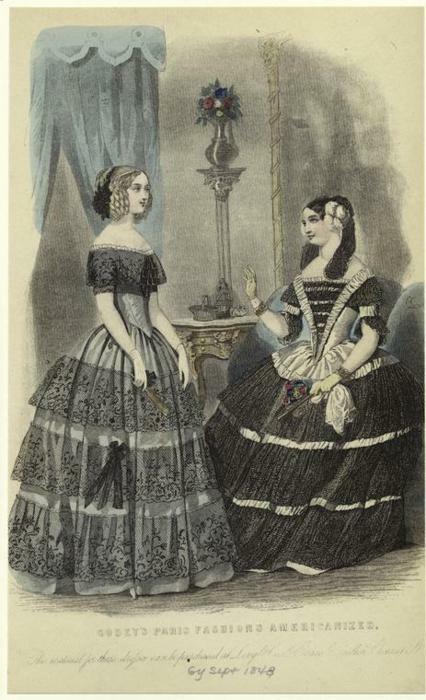 The Nightingale stands as a contrast to the Student. She is a true idealist and a dreamer, who ‘night after night’ sung of a true lover and ‘told his story to the stars.’ The Nightingale is a gentle and kind creature, led by intuition and feelings. Consequently she decided to sacrifice her life for love because she places love above all; above material things and social conventions. 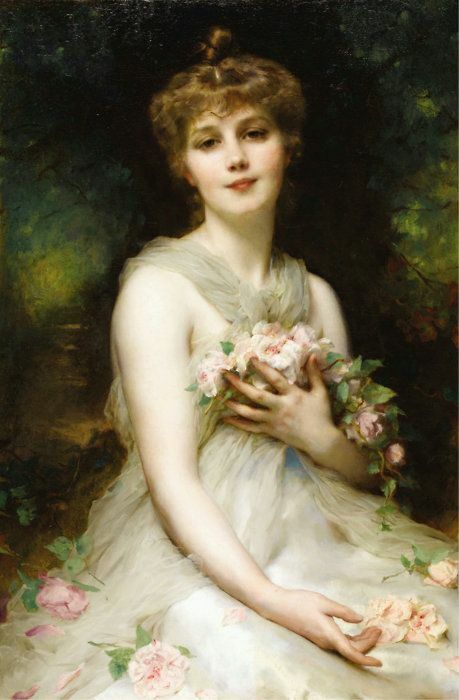 Ideas of love and beauty typical for fin de siècle, have developed as a response to materialism, rationalism and positivism of the previous era which saw the height of the bourgeois class and realism being developed as a literary genre. In her eyes, love is something that transcends even death. Wilde described her as singing of the ‘Love that is perfected by Death, of the Love that dies not in the tomb.’ (5) Although such sacrifice would seem pathetic in the age of realism, it struck a chord with decadent and disillusioned pessimists and aesthetes of fin de siècle. 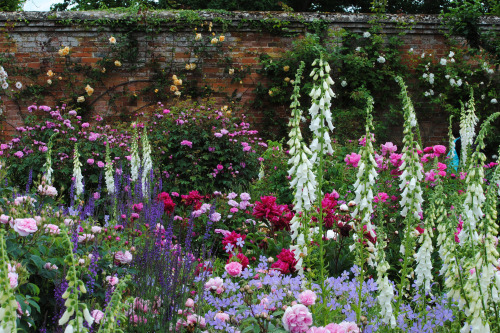 In this sense, Wilde spiritually takes us back to Romanticism – yet another age of idealism, when poets such as Lord Byron, John Keats and Shelley sang of love, beauty and death. 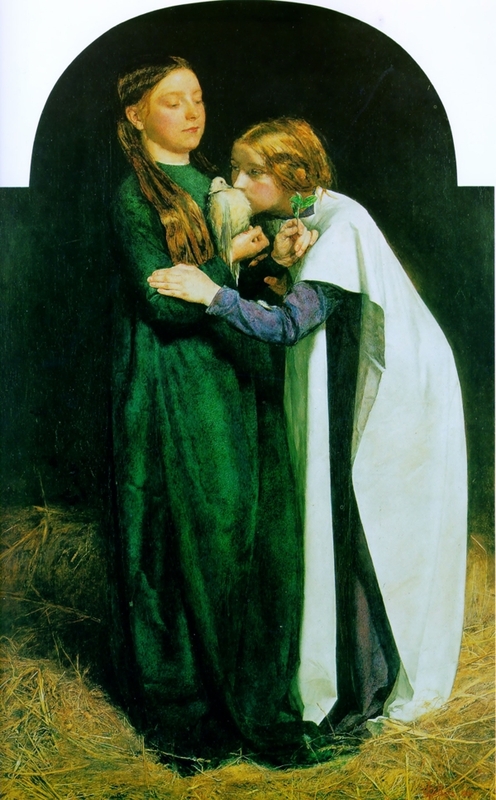 Dr Jarlath Killeen argues that Wilde presented the Nightingale as a secular Christ-like figure: ‘This Christian transformation of the Philomena myth would explain the clear references to the crucifixion in ‘The Nightingale and the Rose’, and Wilde’s association of the Nightingale with Christ who was willing to sacrifice himself for a beautiful idea the world was clearly not ready for.’ (7) Wilde presented the Nightingale as a doomed and sensitive creature rejected by the cruel world, someone who appears to be a loser, but is in truth a deeply noble individual whose sacrifice nobody understands. 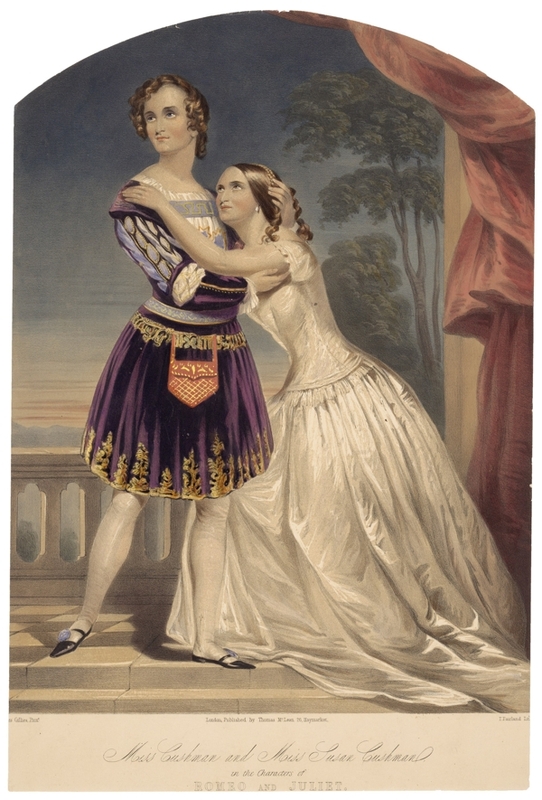 Wilde continues with a distinctly artistic imagery in description of the Nightingale’s opinion of love, which is rather different from the Student’s: ‘Surely Love is a wonderful thing. It is more precious than emeralds, and dearer than fine opals. 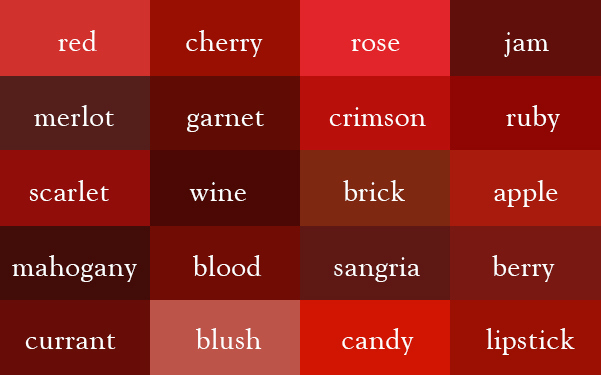 Pearls and pomegranates cannot buy it, nor is it set forth in market-place. It may not be purchased of the merchants, nor can it be weighed out in the balance for gold’. Judging by the way the story ends, Wilde is subtly implying that the gentle ones are always crucified for their sensibility. To summarise, Oscar Wilde’s story ‘The Nightingale and the Rose’ can be perceived not only as Wilde’s personal clash between “English materialism and Celtic idealism”, (9) but as a universal historical, artistic and social struggle between materialism and idealism, reason and intuition, classical and romantic, Logos and Eros, Apollonian and Dionysian etc. As every art movement is a reaction to the previous one, so these opposites took turns and shaped the world’s history from the age of Homer to now. Romanticism came as an answer to the overly rational Age of Enlightenment, then the excessive sentimentality of Romanticism had to be neutralised by realism which praised science and logic, and in fin de siècle people, already bored with it all, rebelled against materialism and rationalism, and embraced idealism and emotionalism. ‘Sad Prince’ of the aesthetes, Oscar Wilde, lived in these changing times and expressed these conflicts in his works. 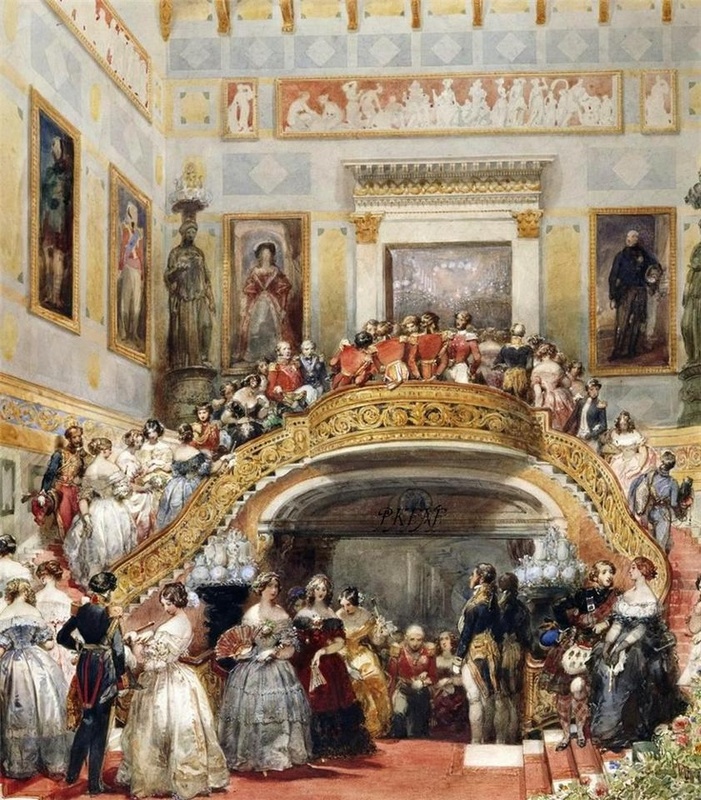 In my opinion, the story perfectly captures the spirit of the times it was written, because its main themes are love, beauty and death – a trio that graced the artistic landscape at the turn of the century, and sparked conversations in opium and absinthe-laced clubs and salons of London, among intellectuals, artists and dandies. The Nightingale’s sacrifice appeals to me immensely because it’s something glamorous and rebellious. 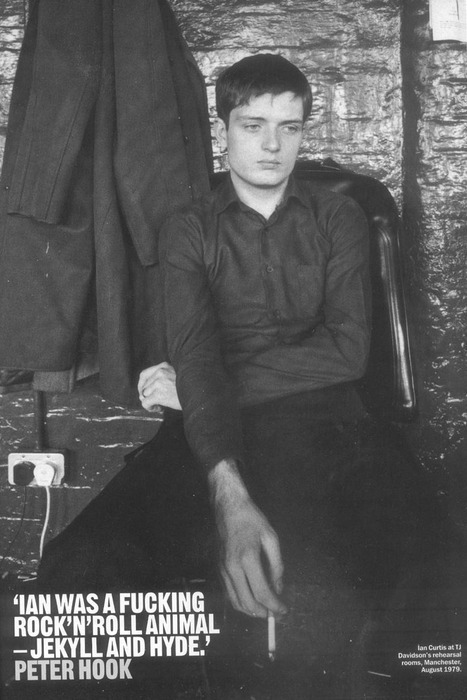 In the act of sacrifice I see a clear detachment of the artist from the ‘common people’. Thomas Chatterton committed suicide, Vincent van Gogh cut off his ear, Lord Byron fought in Greece, the Nightingale gave her life for love – everything is better than a life of blessed mediocrity. I think Oscar Wilde took the Nightingale’s side because Aestheticism and dandyism are a stark contrast to materialism and logic, and her sacrifice is very artistic. At the same time, Wilde questions the value of the artist’s life. His quote confirms this: ‘The artistic life is a long lovely suicide’. 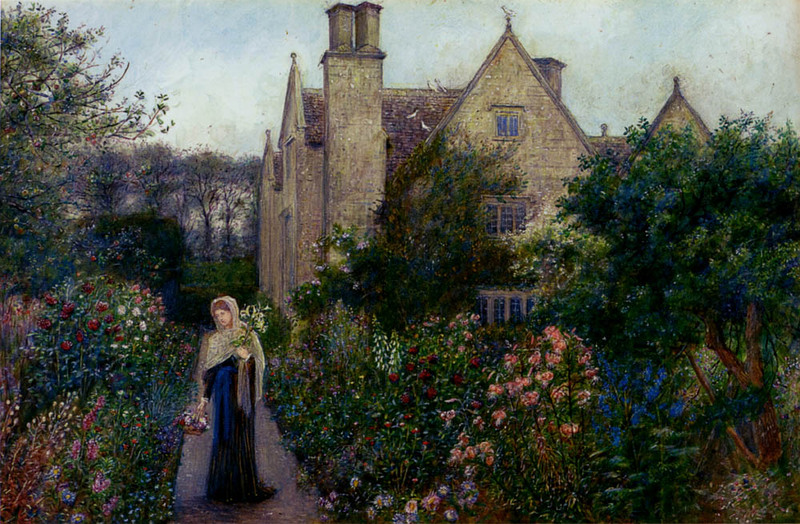 Artists of Romanticism showed a particular interest in history; they idealised it and drew inspiration from it. Their escapism and rose-tinted visions of the Middle ages and Tudor era produced some of the finest portraits of historical events – executions to be precise. My interest in Joan of Arc sparked only after I heard Morrissey singing about her in the song Bigmouth Strikes Again from The Smiths’ album The Queen is Dead (1986). 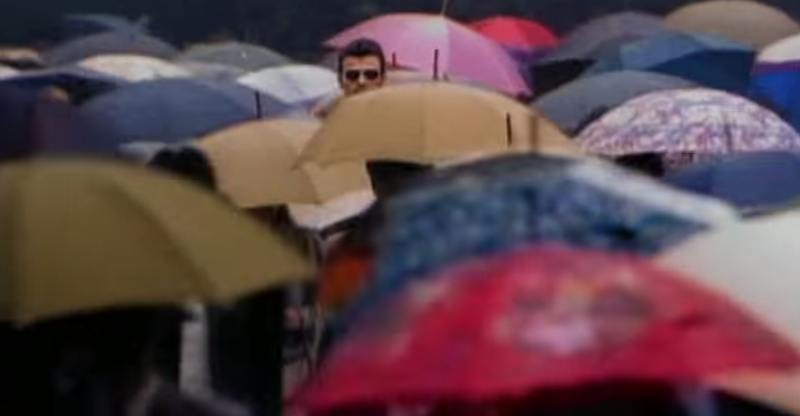 In the song, he identifies his own social faux pas with the fate of poor Joan of Arc who gave her life for the idea. Listening to Morrissey’s high-pitched voice in the background singing Now I know how Joan of Arc felt gives me goose bumps every single time. I was crazy about this song in last October and I thought these were the coolest lyrics ever, I still do. They stayed etched in my mind for days and weeks, and somehow, for the good or bad, drew my attention to Joan of Arc as a historical figure. 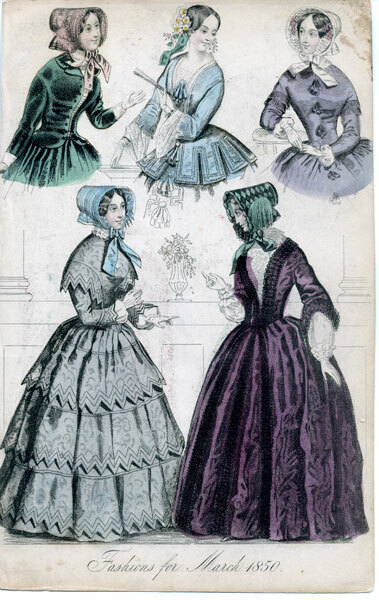 Romanticists drew inspiration from history, particularly the Medieval times which they idealised because it was a radically different time than the one they lived in, and because it was a time period seen as ‘barbaric’ and highly disliked by the 18th century thinkers. 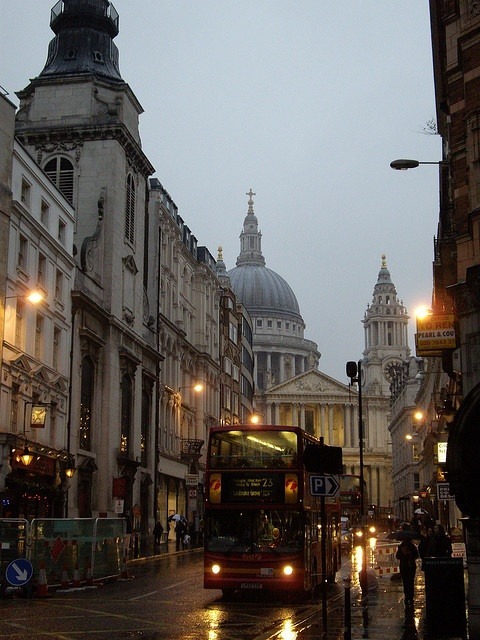 Romanticists were rebels after all, and what appealed to them about the Medieval era were: “…stained glass in soaring cathedrals, tales of Robin Hood and his merry men, and–above all–the old tales of King Arthur and the knights of the round table“(source). 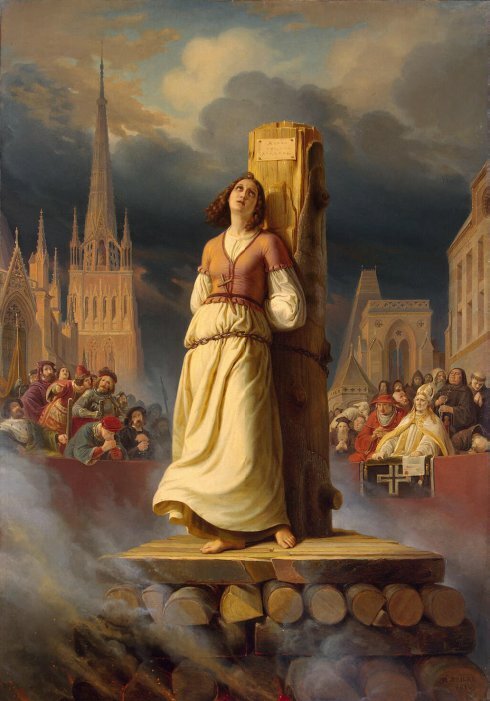 Joan of Arc, merely nineteen years old when they burned her at the stake, possessed such courage and idealism that she seems to have been a figment of imagination of some romantic poet rather than a real human being. 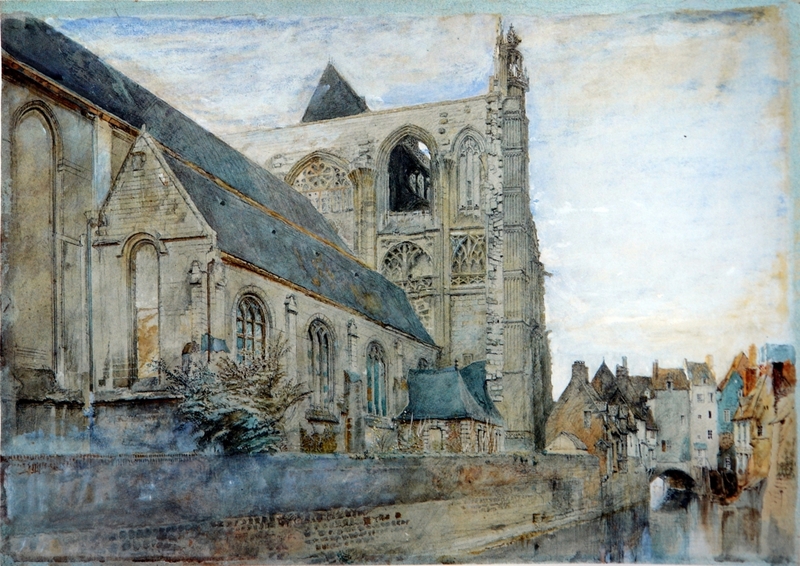 This painting is part of a triptych painted in 1843 by a German painter Hermann Anton Stilke, well known for painting religious and romantic themes. 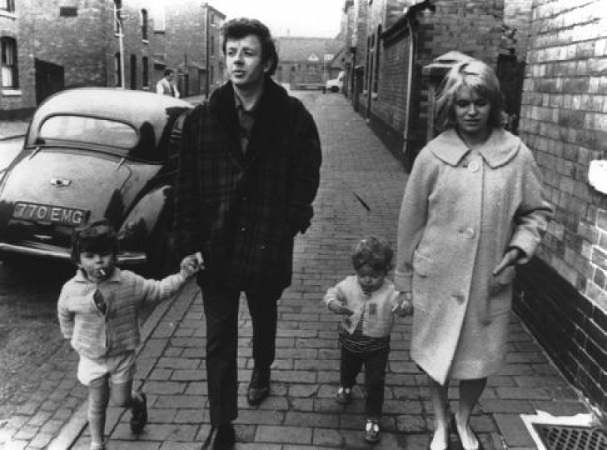 In typical romantic manner, Stilke diminished the brutal aspect of her death and emphasised her spirituality. Her gaze is directed to the sky as she waits for the agony to end. Ominous sky, painted in dark blue shades, is pervaded with threatening clouds – the ‘skies are in accusation steaming’ (Shelley) and lamenting the death of this poor ‘maid of Orleans’. Unfortunate life and death of Lady Jane Grey, also known as the Nine-day Queen, was another subject that appealed to romantic sensibilities in the first half of the 19th century. 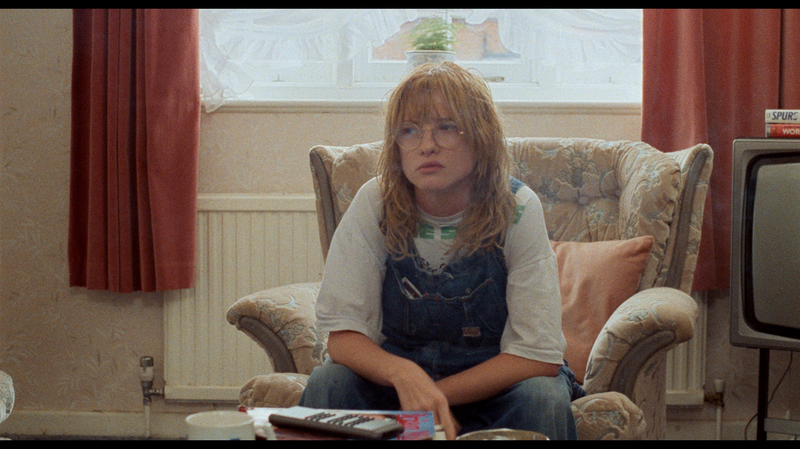 I was charmed by Lady Jane; an intelligent, well-read, but somewhat timid and self-sacrificing sixteen year old girl, ever since I watched the film ‘Lady Jane’ (1986) starring Helena Bonham Carter. 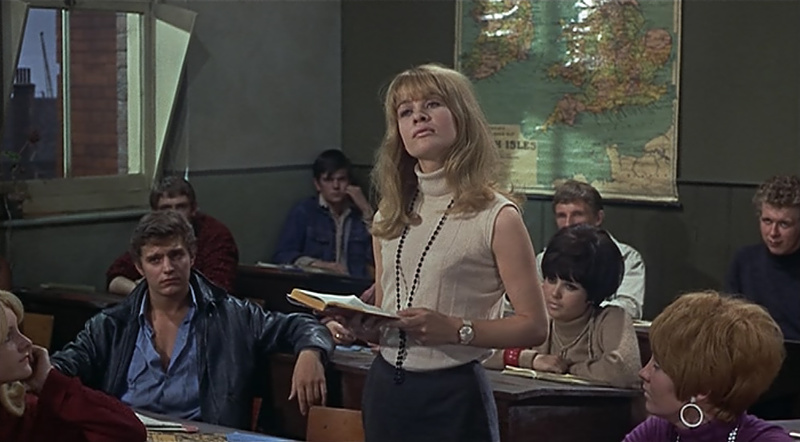 In the film, Jane proclaims that ‘learning is her only pleasure‘ and she also says: “I would die to free our people of chains of bigotry and superstition“. The latter is quite a confident remark for a sixteen year old girl, but she was a devout protestant and that proved to be her undoing. 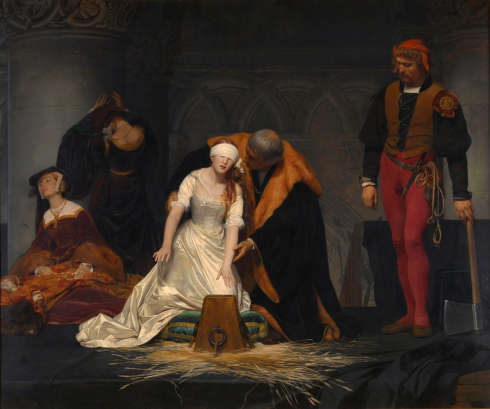 Much of the film is romanticised, but so is the painting ‘The Execution of Lady Jane Grey’ by Paul Delaroche. 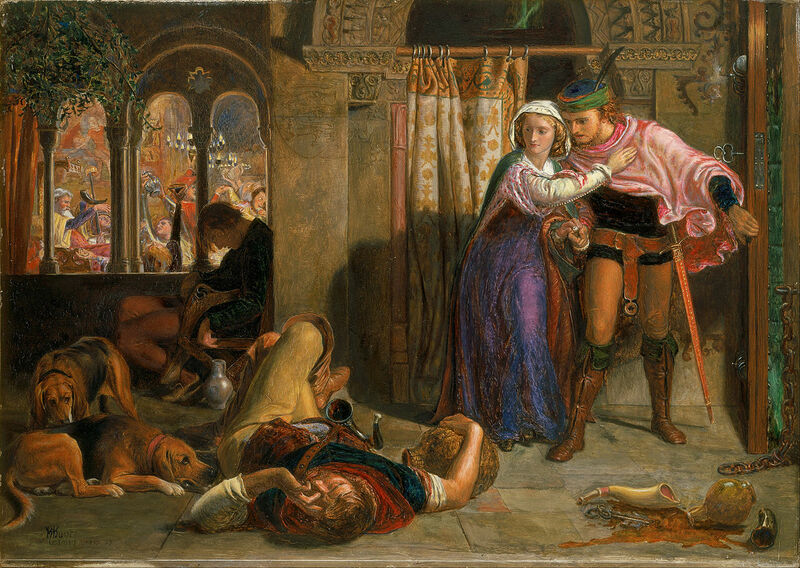 The painting shows the young Lady Jane just moments before her execution. She’s blindfolded, desperately stretching her hands to reach the block of wood – final resting for that pretty witty head. Delaroche painted her as a little romantic virginal maiden; in white bodice and satin petticoat, her hands porcelain white, her hair golden. In reality, the event must have been bleak and sad. Her last words were: “Lord, into thy hands I commend my spirit!” I wonder what thoughts crossed her mind as she place her head on the block, waiting for her death to come. Seems like her ‘sweet sixteen’ didn’t end so sweet after all. I suppose that’s her greatest legacy, her devotion to protestantism, her integrity and willingness to stick to her ideas, despite being punished for it. Just like Joan of Arc, she was an idealist who sacrificed her life for the greater good. Death was particularly attractive a subject for painters and poets of Romanticism. Not that much is known about Lady Jane’s life, not even her exact date of birth, and since her reign was short, she’s not politically important. So, naturally, artists were drawn towards the subject of her execution. 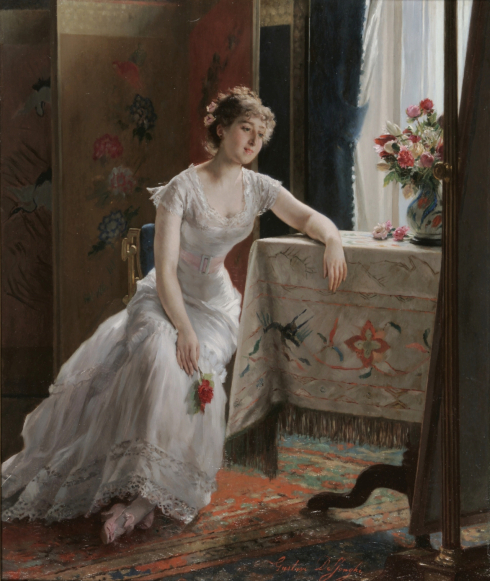 Still, how come nobody painted her sitting by the window and reading a book, or, on the day of her wedding? 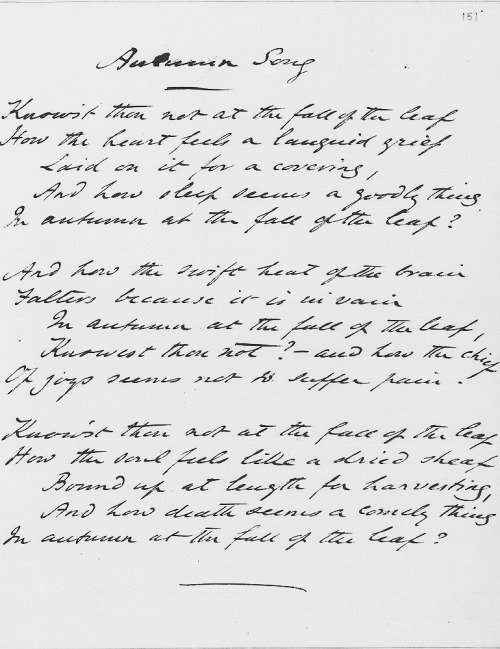 Dante Gabriel Rossetti’s sonnet The Kiss describes his feeling on his wedding day that actually took place on 23 May 1860 at St Clement’s Church in the seaside town of Hastings – the place of Syd Barrett’s last gig with Pink Floyd by the way. It’s truly a beautiful poem, especially the second stanza. 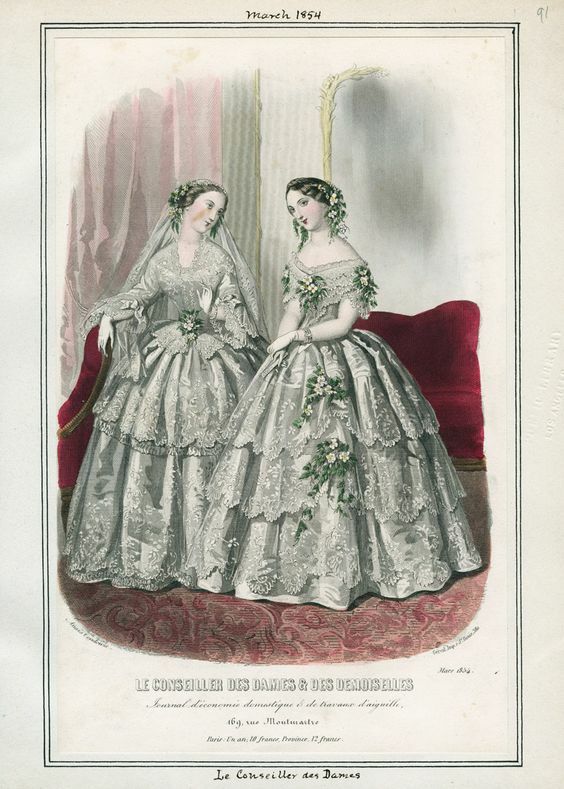 This soul of wedding-raiment worn to-day? The half-drawn hungering face with that last lay. Percy Shelley, Why Do I Love Thee? Lord Byron is the epitome of Romanticism – he was ‘mad, bad and dangerous to know’, a lonely and misunderstood individual who wrote poetry, led a life filled with love affairs and travels, he fought in Greece, he has a literary hero named after him. To dream of being his muse, well ‘the pleasure, the privilege is mine‘. Since I named my blog after him, these verses sound even sweeter on my lips:”Farewell, my young Muse! since we now can ne’er meet“. 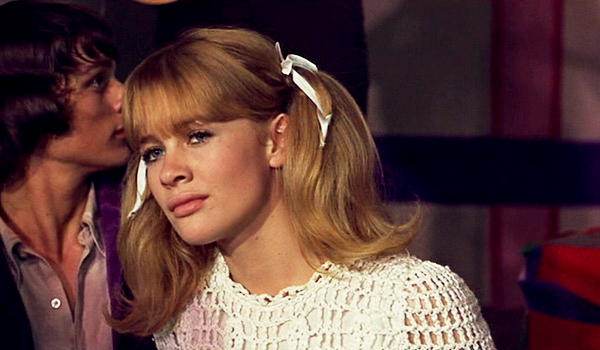 With all that said, I decree that my heart still goes to Shelley all the way. I’ve always preferred him more for I see him as a gentler one, both his poetry and lifestyle are more my cup of tea. 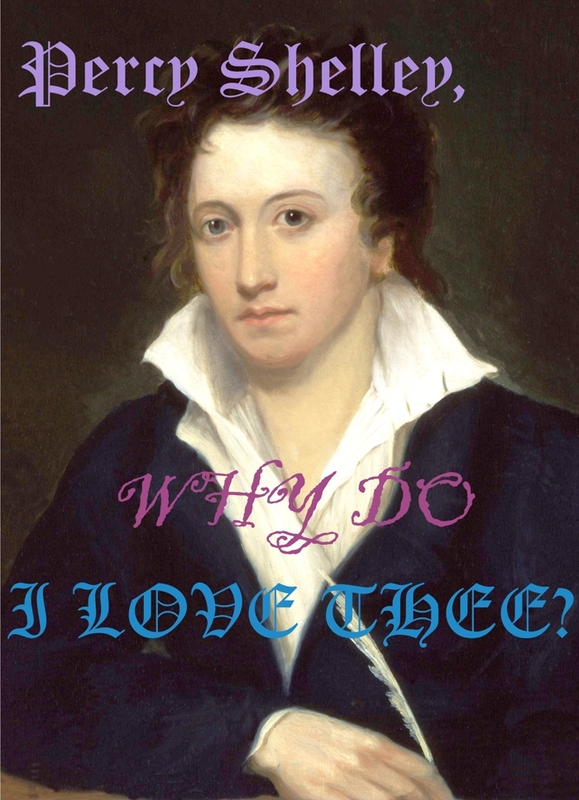 Well, Percy Bysshe Shelley, why do I love thee, let me count the reasons. First of all, I’m astonished by his ferocious intellect and hunger for knowledge. 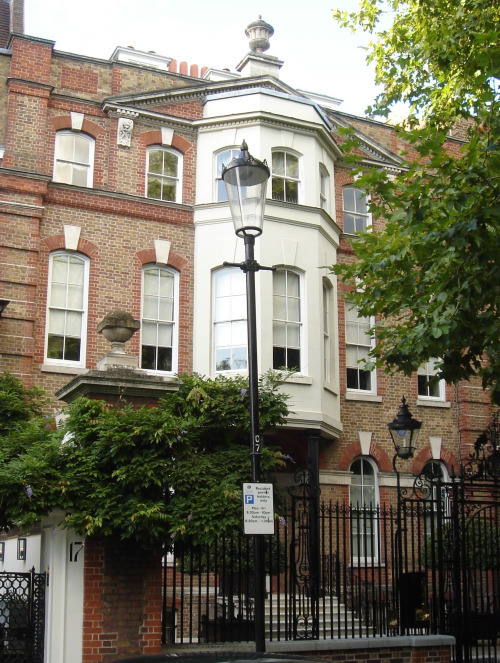 As a student, he was said to have attended only one lecture at Oxford and often spent up to sixteen hours a day reading. In addition to being well read and having rich vocabulary, Shelley was also good at languages, being proficient in ancient Greek and Italian. (“Shelley was an excellent classicist, and sufficiently proficient in ancient Greek to make, as an adult, a fine translation of Plato’s Symposium.” (1) and “Among the major Romantic poets, Byron and Shelley spent the most time in Italy (…) and they became proficient in its language and well-read in its literature.” (2) Let’s just remember that he died a month before his 30th birthday, and in that short life he managed to acquire such vast amount of knowledge. Secondly, a typical romantic trait – rebelliousness. As I already mentioned, legend has it that he only attended one lecture while at Oxford from which he was expelled after less than a year for “writing and circulating a pamphlet promoting atheism.” (3) Whereas I am not promoting atheism for I am not an atheist, at the time when religion, Christianity in particular, was all too-dominant in everyday life, this was a necessary thing to be done. Therefore, I don’t see it as a promotion of atheism as much as a revolt against Christianity. What I admire the most about about this story is that, when asked by his father to renounce his atheist views and his pamphlet, Shelley refused, knowing that it meant the end of the financial support. 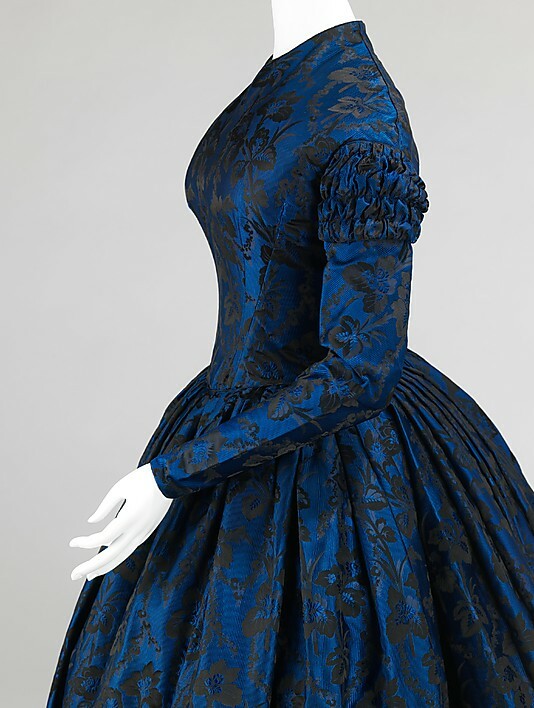 After that, at the age of 19, he eloped to Scotland with the 16-year old schoolgirl Harriet Westbrook. I mean, just look at his portrait; untamed hair, unbuttoned shirt, wild protruding stare of those blue eyes, a quill in his hand – if that’s not a portrait of a rebellious romantic hero, I haven’t got a clue what is. As we can see from his elopement with Harriet, Shelley had quite modern views on love and marriage. He went on to live with Mary until he died, but he did have platonic and non-platonic relationships with other women, and, with each others permission, both Mary and Percy occasionally flirted with other people. I see both relationships and an institution of marriage as rather restricting affairs, and therefore I like Shelley’s view on it and his promotion of free love. 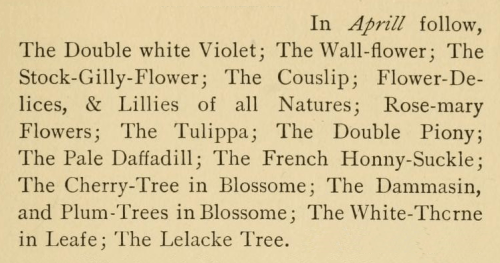 In poem ‘Queen Mab’, Shelley celebrates all the things I’ve mentioned here: atheism, vegetarianism, republicanism and – free love. “O world! O life! O time! Shelley somehow managed to combine the social role of art with pure aestheticism, which is a pursuit that often ends unsuccessfully. (Other good examples of combining these two polar opposites would be the songs by Manic Street Preachers and Kitchen sink realism in films) Shelley’s choice of words and stylistic devices is pure beauty. The book The Cambridge Companion to Mary Shelley states that Percy ‘preferred more learned, polysyllabic words’ and it gives the examples of his revision of Mary’s manuscript of Frankenstein. He changes Mary’s words ‘have’ to ‘possess’, ‘wish’ to ‘desire’ and my favourite – ‘we were all equal’ to ‘neither of us possessed the slightest pre-eminence over the other’. (7) This may sound snobbish, and may cause his texts to be a bit harder to understand sometimes, but he was a well read and eloquent person and why should he refrain himself from using rich vocabulary? Well, I’ve been writing my story again. It’s been an immense pleasure and something that occupies my mind day and night. 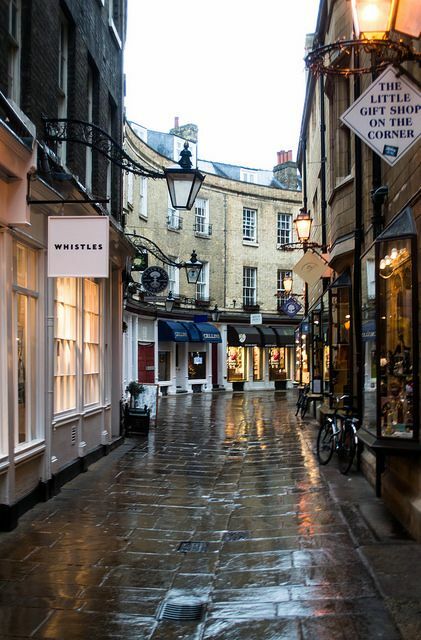 Having written more than ten thousand words in these few days, I feel it’s about time I gather all the pictures that are connected to my characters, their conversations and settings. Hope you enjoy, and hope some of you decide to do the same, I’d be very interested to see it. 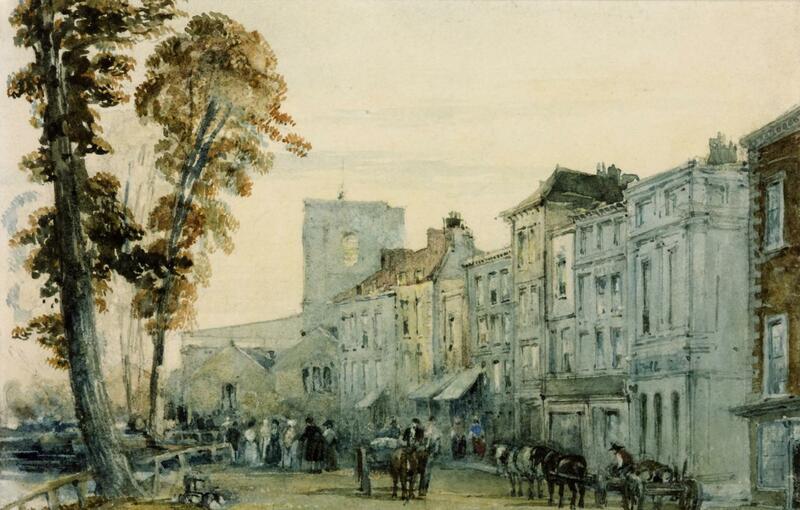 View shows crowd on typical summer’s evening in the southwestern corner of Cremorne Gardens. The dancing platform and its central pagoda, where a dance orchestra played, are seen in the centre; in distance are double tiers of supper boxes. 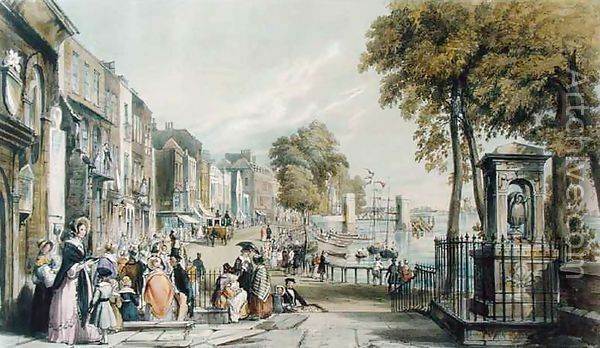 Cremorne Gardens, opened in 1846, were located west of Battersea Bridge between King’s Road and the Thames. The 12-acre gardens boasted a circus, theatre and orchestra with dancing platform represented here. 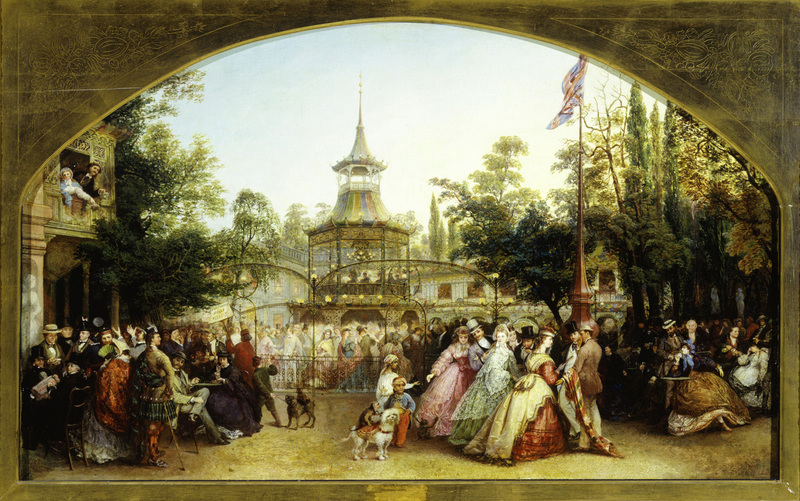 Pleasure gardens had a reputation as places of debauchery since the 18th century. 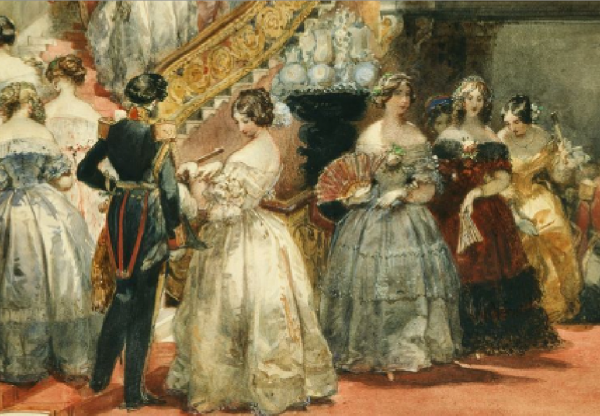 In this painting Levin depicts many examples of licentious behaviour which gives us a rare insight into sexual freedom in the 1860s. 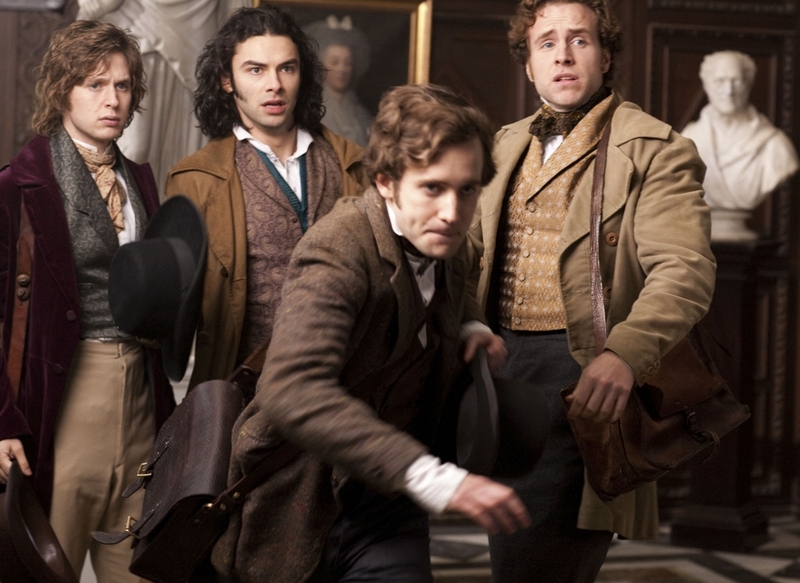 Prostitutes and loose liaisons are shown against a background of drinking and a medley of rough characters. 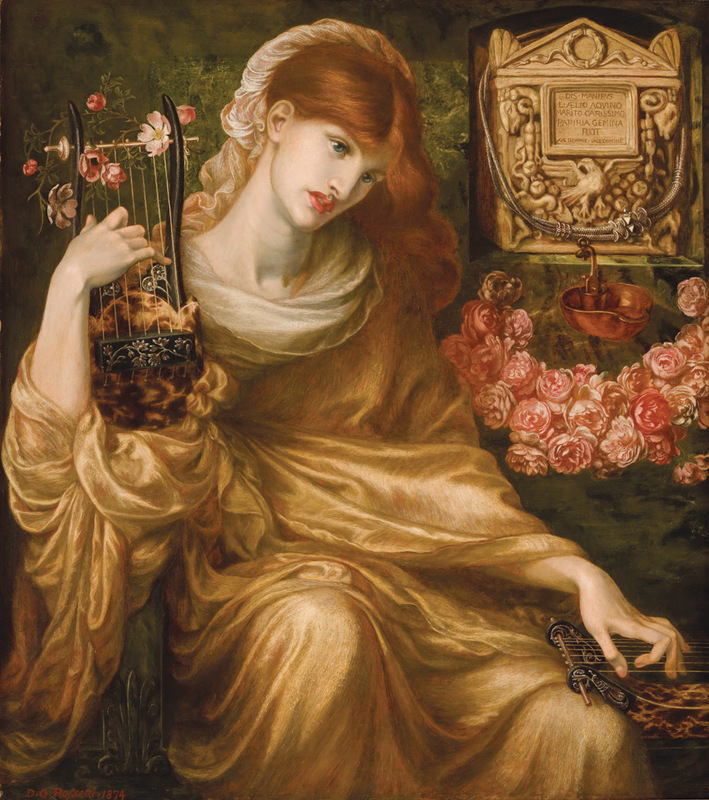 Rossetti’s painting Beata Beatrix, laden with symbolism and imbued with spirituality, can be viewed in two ways: as the ultimate expression of Rossetti’s passionate love for Lizzie, a love that transcends even death, and, as a synthesis of Rossetti’s life-long fascination with Italian poet of the Late Middle Ages – Dante Alighieri. 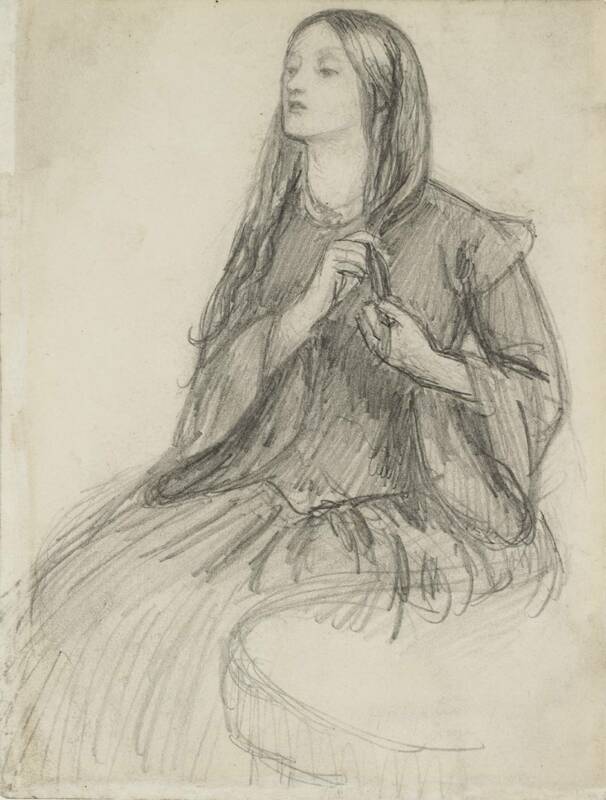 Rossetti, who loved Lizzie ardently but not always most faithfully, often made connections between her and Beatrice; Dante’s muse and unrequited love, so much so that is seems Lizzie’s death came as a self-fulfilling prophecy. 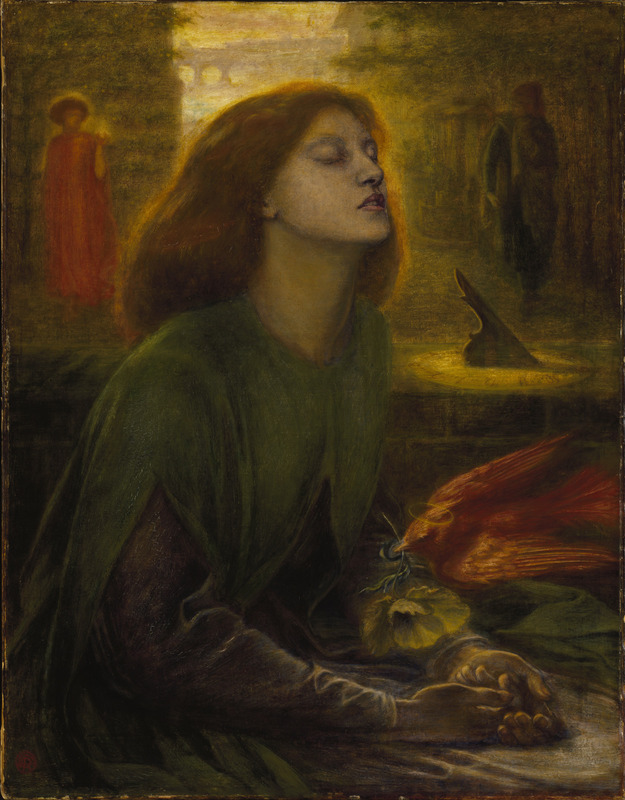 Her death and this painting erased the border between Rossetti’s own life, love and loss, and that of his idol Dante. Having lost their muses, the two artists, although separated by centuries, were finally spiritually united. 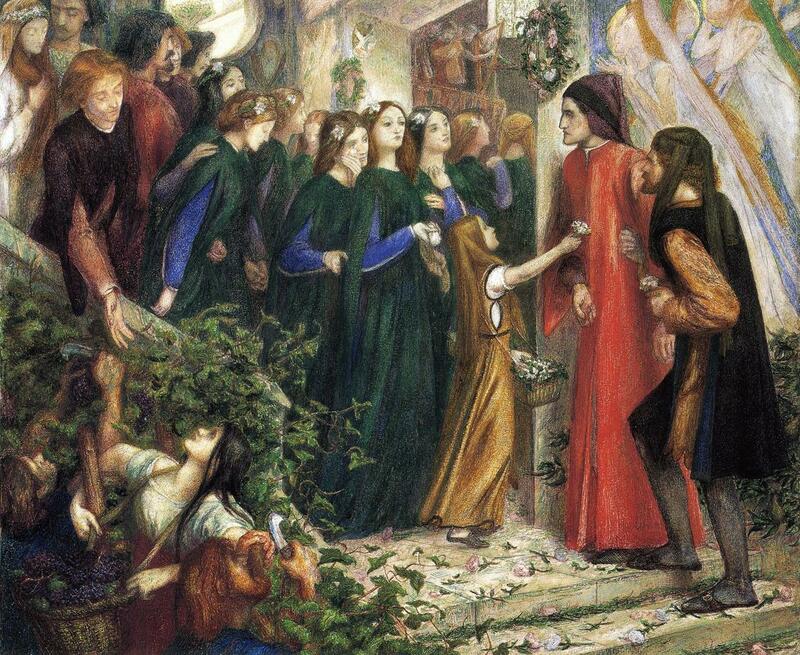 Both Rossetti and Dante sought refuge in art because it transcends the short life of us mortals. Ars Longa, Vita Brevis (Art is long, life is short.) 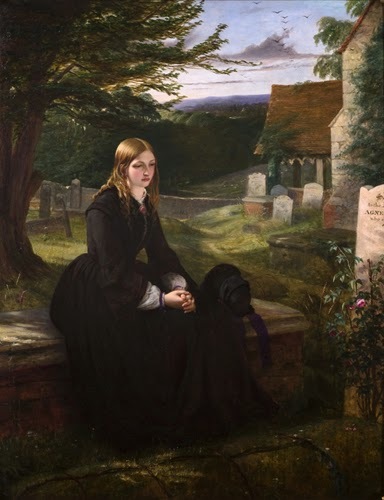 – Lizzie’s life was short, her love for Gabriel lasted even shorter, and yet this painting, along with many other, enables us, century and a half later, to feel the same grief that Rossetti felt upon Lizzie’s death. Other-worldly mood of the scene is absolutely beautiful, and I think that’s the very thing that makes this painting so special. 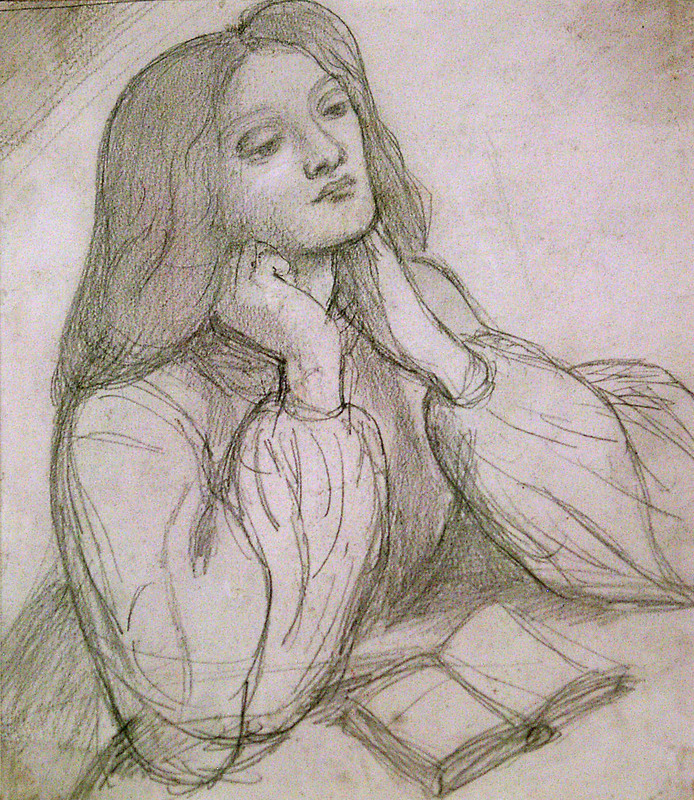 Rossetti spent seven years of his life painting it (1863-1870) and it stands as a barrier between his early years characterised by medieval subjects and infatuation with Lizzie, and the following period when he focused on female sensuality and produced the ‘femme fatale’ paintings that everyone knows and loves. Behind Dante and the figure of Love we see a vague contours of Florence; the place where Dante’s story was set. 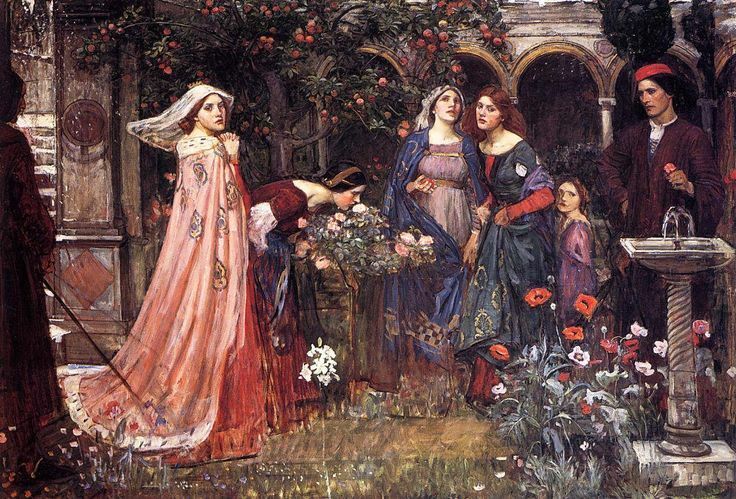 We see a red dove carrying a poppy flower into Beatrice’s open hands. All this symbolism, along with the lavishing usage of gold could be interpreted as the beginning of Symbolism. As we know, many artists after Rossetti loved using gold in abundance, whether as a colour or in the form of real leaves of gold; Gustave Moreau and Gustav Klimt to name a few. Such profusion of gold evokes the glory days of Byzantine Empire and its architectural splendours. 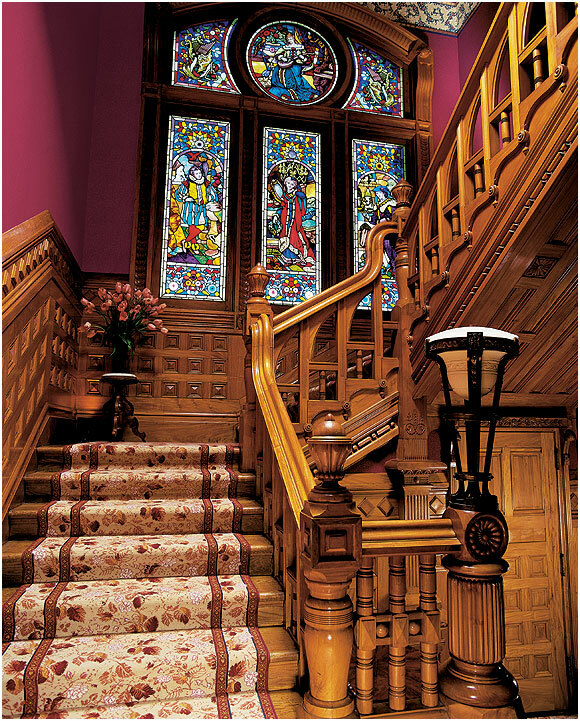 The spiritual yet luxurious mood of this painting reminds me of the atmosphere in Eastern Orthodox Churches. 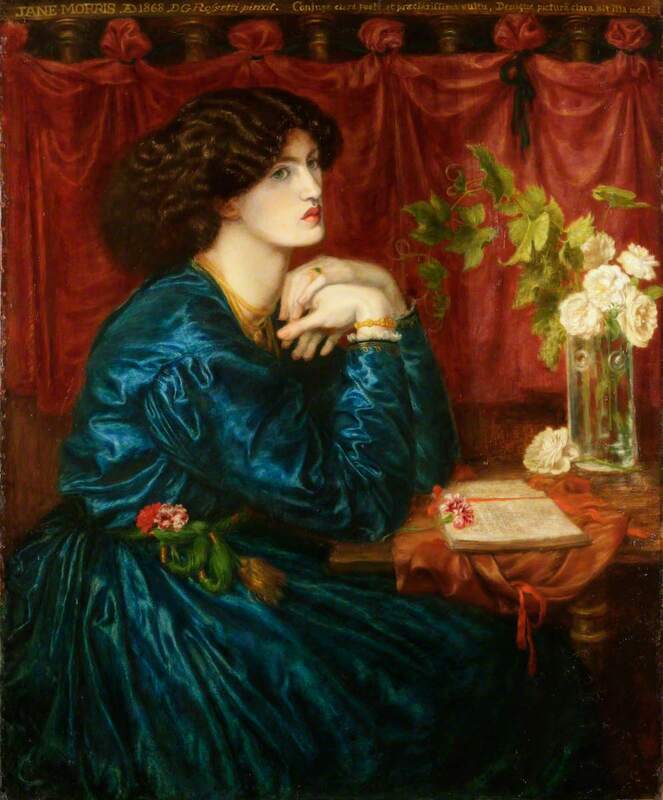 In the final episode of ‘Desperate Romantics’ we see the creation of this painting; Rossetti tries to memorise her face and then starts painting furiously. Everyone is saddened by her death. Effie and John, the happy couple in their cosy home, gaze at his study of Lizzie’s face for Ophelia. 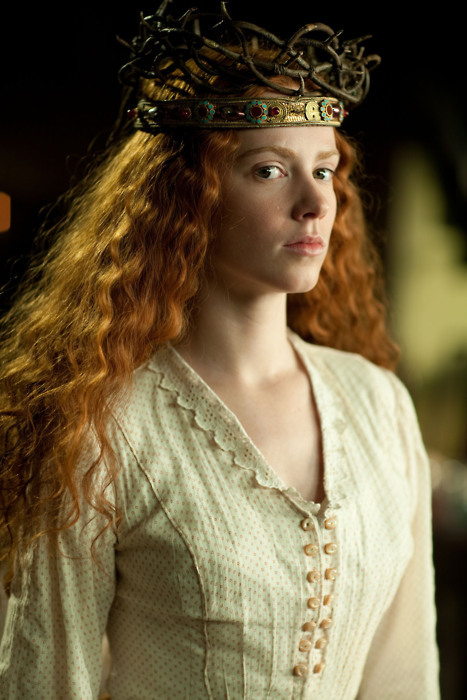 Hunt is in solemn solitude, praying to god by the candlelight, Fred – alone, drinking and kissing the lock of her coppery-golden hair. Death is so idealised and glamorised as an idea, but very sad when it actually occurs. It’s ironic that some of Rossetti’s best-known and some of the greatest Pre-Raphaelite artworks were painted after Lizzie’s death. 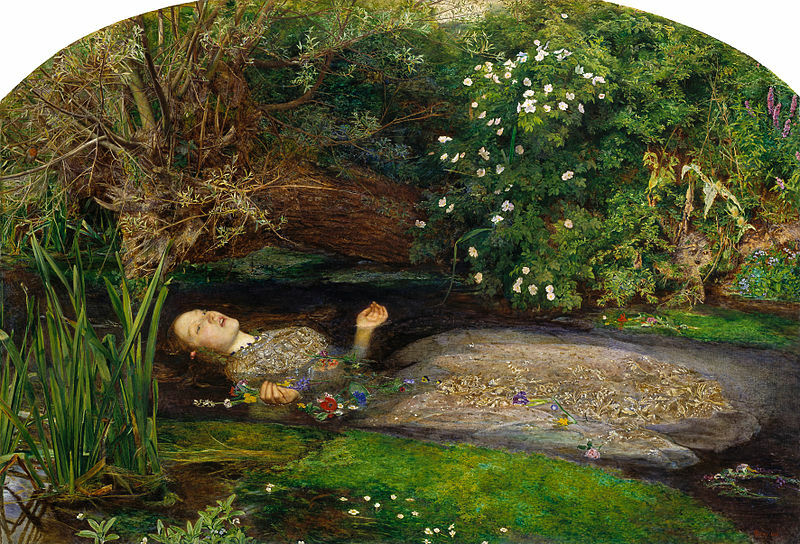 Sadly, death marks both the beginning and the end of Lizzie Siddal’s career as a model. 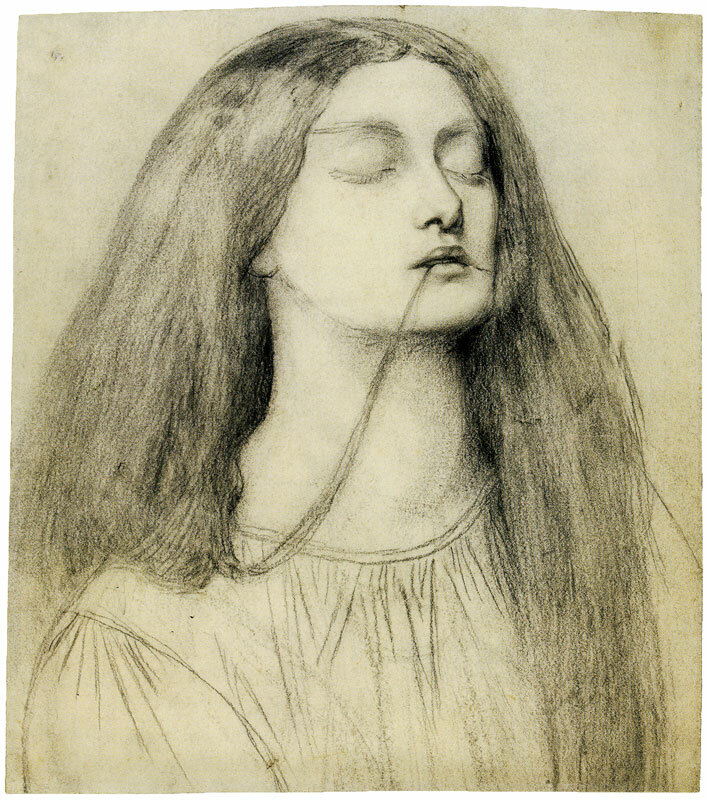 Ten years before her death, in 1852, she posed as Ophelia for Millais, and almost died during the process, and after she died, Rossetti painted Beata Beatrix. 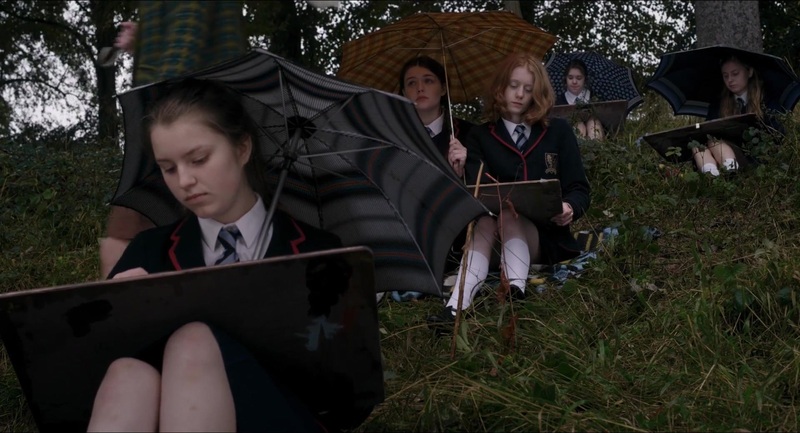 (Note: Ophelia is not the first painting she sat for, but it is certainly the best known.) 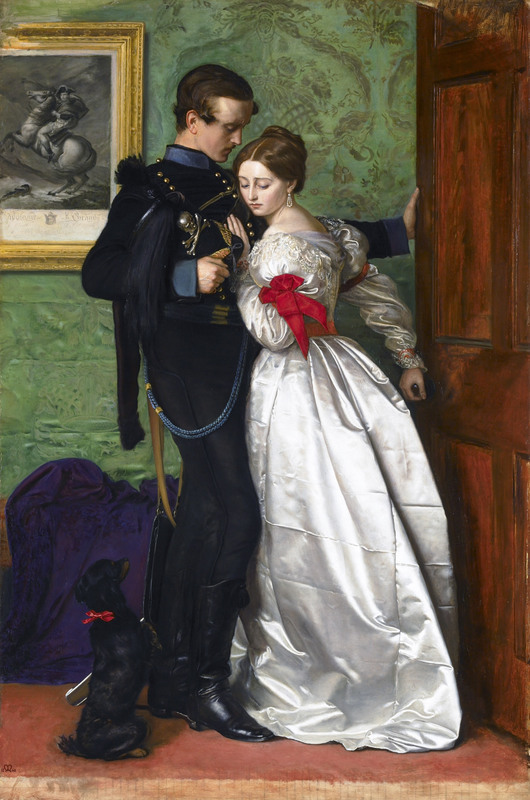 I see this painting as Rossetti’s way of saying ‘Farewell, My Lizzie’. 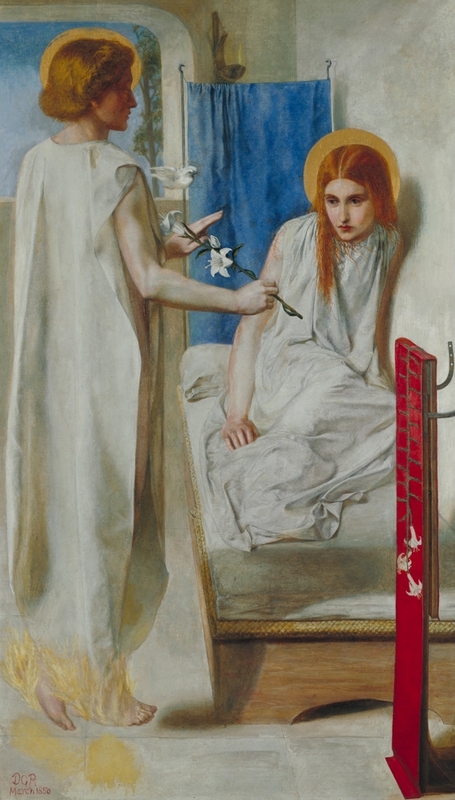 Also, with this painting Rossetti seems to be exploring the connection between death and eroticism, something that would go on to be very popular a subject in decadent society of fin de siecle. Rossetti – always ahead of his time. There where the pool is blind of the moon’s face. The title is obviously a reference to Joy Division, and I chose it because I think it’s relevant to the love affair of Lizzie and Rossetti. 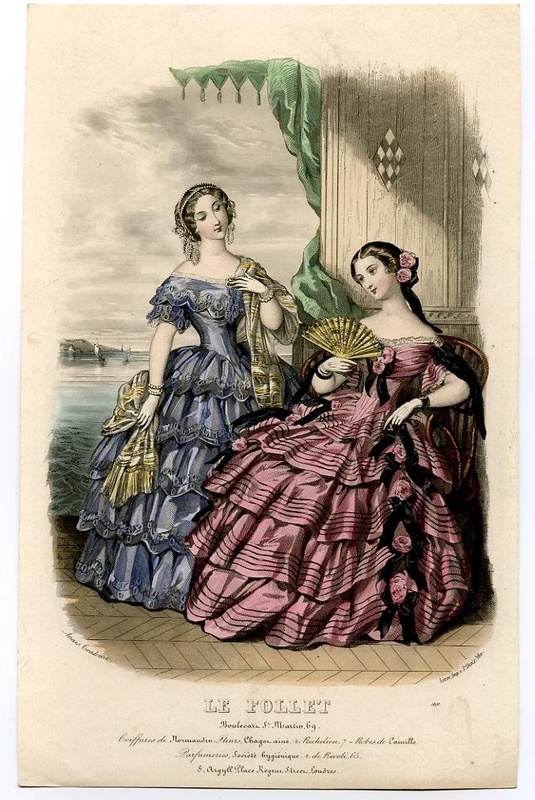 No doubt that she was annoyed by his celebration of female sensuality and friendships with prostitutes, and that he often thought living with her brought nothing but restrictions and dullness. 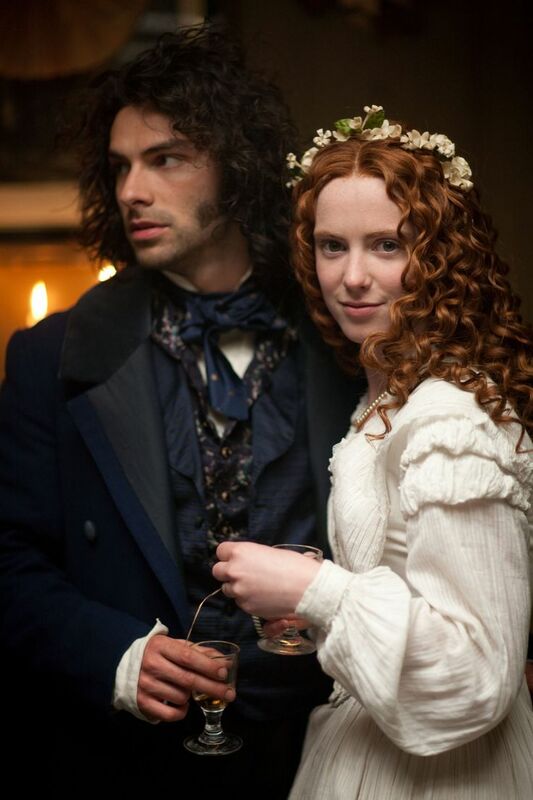 And yet, aside from these everyday troubles, Rossetti expressed nothing but pure beauty and adoration in his portrait of Lizzie, and what woman could possibly want more?